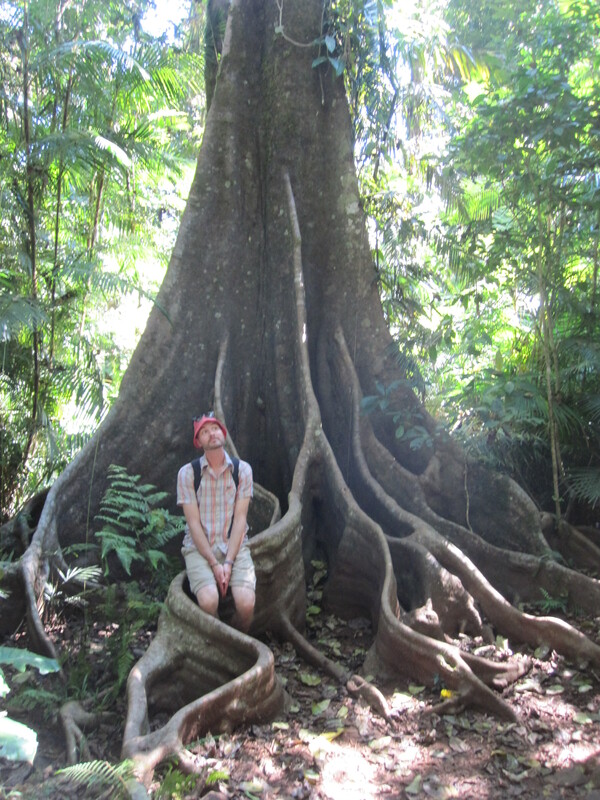 I’ve been neglecting this blog during the past few months, in favour of moving countries and all the associated events that come with that – including hiking in tropical National Parks (see photo). The delays will continue for a few more weeks for another reason – I’m doing a Permaculture Design Certificate down Sunshine Coast way. It’s something I’ve been keen to do for over a year since I first read about permaculture, but the timing and language barriers never quite aligned in Europe. Every new piece I read about permaculture confirms the light globe moment I had initially – that this what I want to do with my life. It only took 32 years…or maybe only 17-ish years from the age when school starts suggesting one might like to ‘think about one’s future’. Permaculture seems to me to be a bringing together of ideas from all different cultures and ecological designs, to create a system based on maximum efficiency by working with nature rather than against it. By thoughtful observation rather than thoughtless action we can put the right pieces together to let nature do her thing, and she’s pretty incredible. It’s about taking care of the planet and it’s people, and sharing the benefits you create from becoming as self-sufficient as you can. I’m rather excited, hopefully the course provides many tools so that upon completion I can change my world and perhaps yours. Hopefully the course also provides many interesting networks and ideas, something along the lines of Transition Towns, which I have been reading about the past few weeks. Their experiment sprung from a permaculture group, and looks at ways of building communities which are resilient against the impacts of peak oil, climate change and global economics; in a way that focuses on thinking the future could be much better without oil than our current inefficient systems based on cheap energy. See you in the self-sufficient future folks! This entry was posted in Thoughts etc and tagged permaculture by schurn. Bookmark the permalink.